While ZTE was busy diving head-first into the trendy 5G realm and unveiling a pair of new smartphones (Axon 10 Pro 5G and the Blade V10), sister company nubia clearly decided to go down a more experimental and unconventional route. 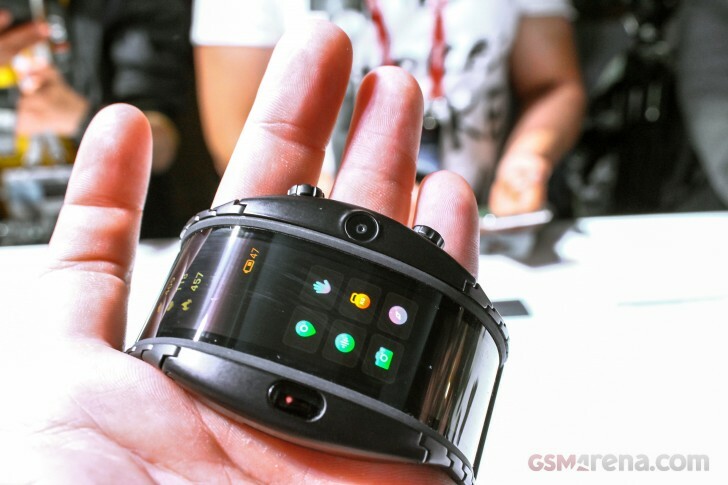 Enter the nubia Alpla - a 2019 attempt at an advanced wearable device, complete with a camera and call capabilities, combined with activity and fitness tracking. 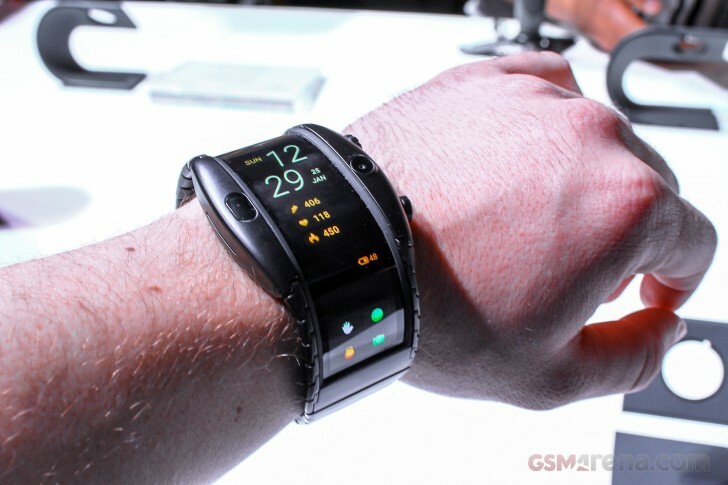 Definitely a throwback to the early days of smart watches and devices like the Samsung Gear S or the Gear Fit. 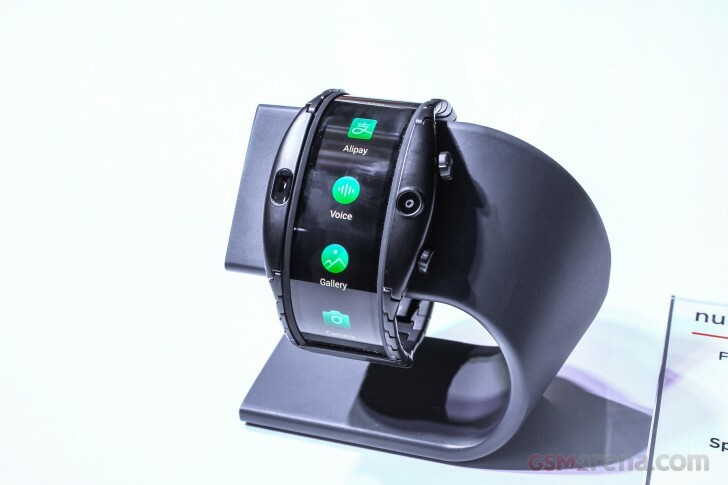 That being said, one could argue that with the long-anticipated arrival of commercially-viable foldable display tech, another stab at the concept of a full featured wrist-friendly device is mandated. This was probably nubia's thinking as well. 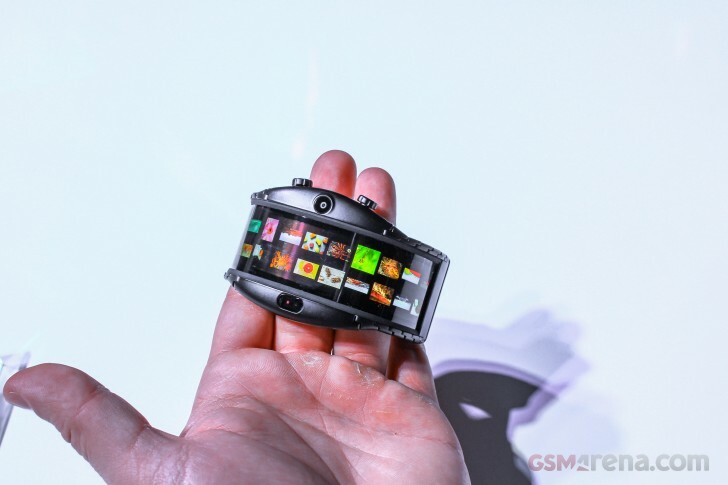 However, the display on the nubia Alpha is not actually foldable. Instead it is pre-curved and moulded into a shape at the factory and then attached to a frame. 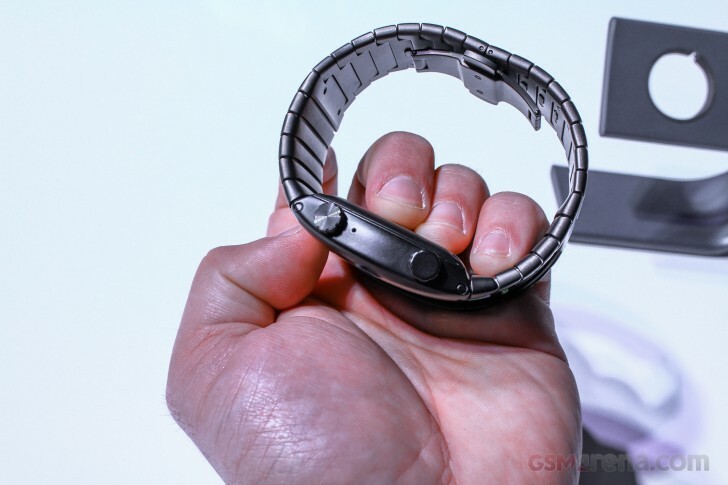 Even though said screen extends onto what clearly looks like a flexible watch strap, it is all but a mere visual trick, since the display part can't really be bent into a different shape. 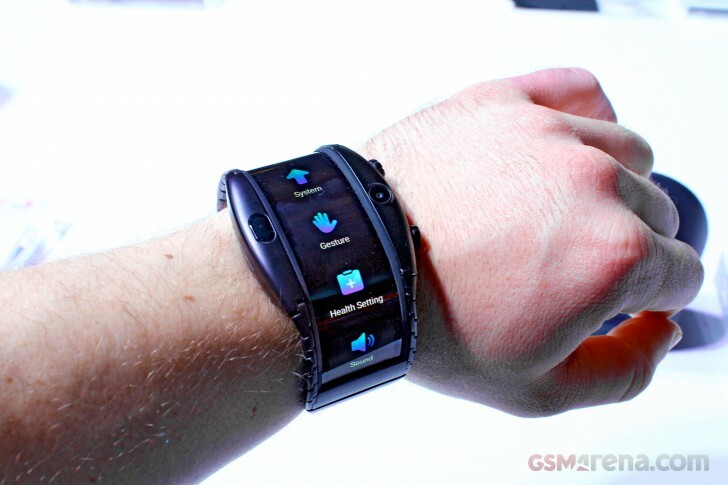 And that's just one of the issues we had with the odd wearable. One thing at a time, though. First, a few more words about the build, materials, shape and feel of the nubia Alpha. It is a very bulky device. 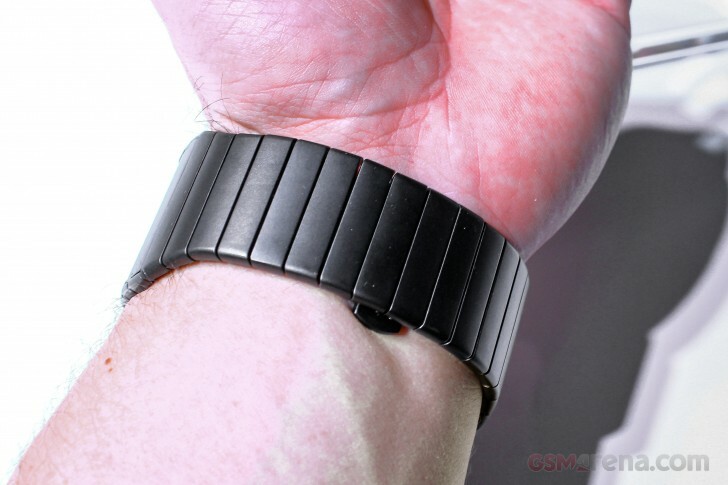 Plus, since only the far ends of the watch strap bend like you would expect, it definitely won't be a great fit on every wrist size. That being said, it still lends itself to some adjustment - namely removing or adding in bits of the chain, just like on a regular watch. But that can only go so far. And just in case you couldn't tell just by looking at it the nubia Alpha is pretty wide. Definitely wide enough to obstruct some of your wrist motion. We get the technical necessity, though. The main body "part", if we can call it that, needs enough room to house a Snapdragon Wear 2100, 1GB of RAM and 8GB of storage, 500mAh battery, a 5MP, f/2.2, 25mm camera (on the right) and a sensor module on the left side. Also all the other control boards and pins and buttons. 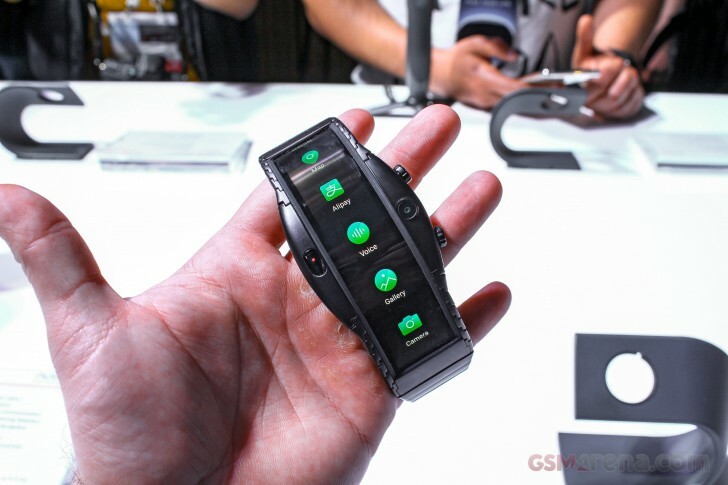 That makes for a heavy and bulky wearable. Still, whether or not that bothers you will definitely be a matter of personal preference. We've seen a lot bigger conventional watches and we've also seen people wear them. On a positive note, the overall ergonomics of the nubia Alpha may not be great, but the build quality is nothing short of stellar. The body is made out of stainless steel and feels really premium. The IP67 ingress protection rating is somewhat of a testament to the good construction. 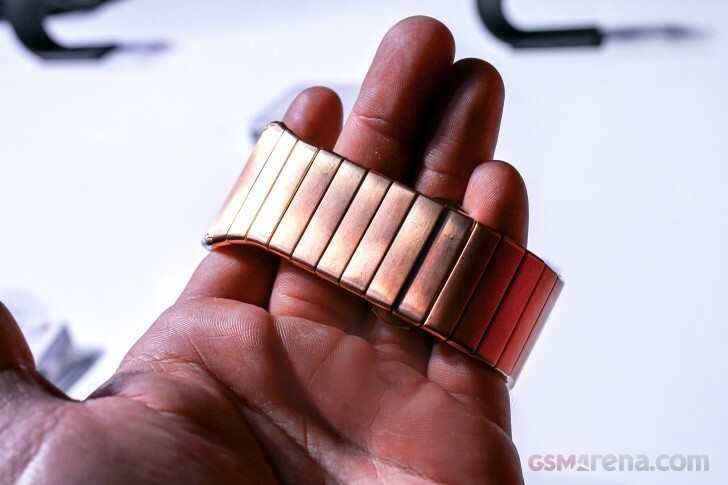 Although, that's a bit on the lower end for a wearable. You definitely don't want to deliberately expose the nubia Alpha to water. Swimming and showers are pretty much out of the question. On a more positive note, the display is coated in heat-resistant polyimide for a bit of extra protection. 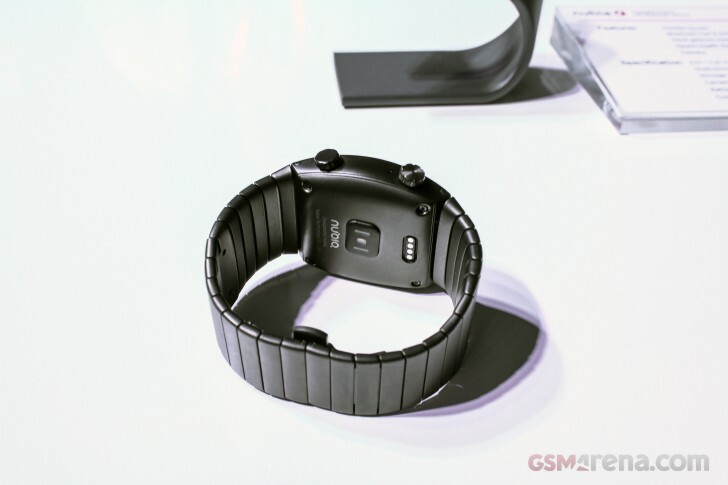 The strap is also really premium and very well crafted, down to the butterfly mechanism. From a purely mechanical standpoint nubia clearly spared no expense. We also have to give credit where credit is due for the excellent job balancing the weight of the device. It doesn't really have a tendency to rotate on way or another on its own. 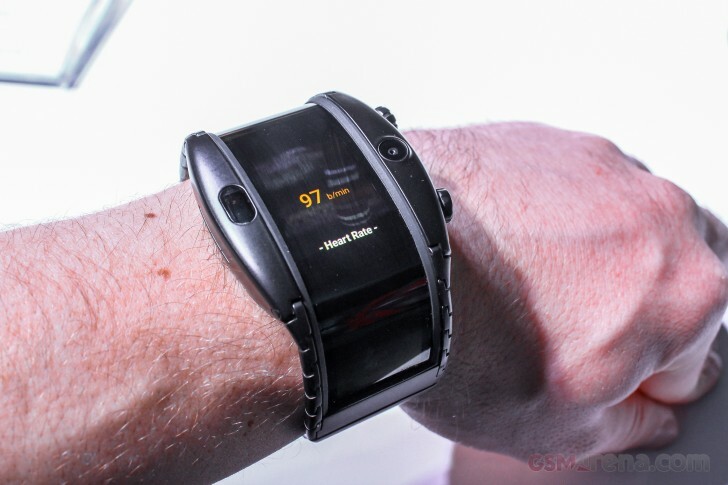 So, bottom line - if you don't mind a bulky and heavy wearable, the nubia Alpha will fit right in on your wrist. Color-wise you have a choice between a stainless steel black look and a gold one. The Gold version is actually plated with 18K gold. Let's, just call the look an acquired taste and leave it at that. A few words on features an functionality then (and we did stick to the black one for this part of the review, in case you were wondering which one we fancy more). That 4" OLED panel looks pretty impressive in person. Even if its not really foldable in the modern sense. However, that might be playing to its benefit, since the display was wrinkle and distortion free - a lot more than what we can say about the Samsung Galaxy Fold or Huawei Mate X. Colors look great and the sheer size of the thing does add to the high-tech feeling quite a bit. The thing that kind of ruined the sci-fi immersion for us, though was nubia's custom OS and its confusing UI. Hopefully, the software we got to test is in an early stage and still subject to change since in its current shape it is incredibly overcrowded and confusing. Icons and buttons flying everywhere. UI elements shifting up and down by their own volition and way too much text to take it at a single glance. Navigation only made things worse. The nubia Alpha has a pair of buttons on one side which you can use to go back or the the home screen. Or at least that's what we managed to gather since we did have trouble actually identifying the home screen in the first place. Beyond that the entire display is touch-enabled. But nubia didn't stop there. That sensor on the left side of the frame we mentioned earlier is meant to detect hand gestures - waves and swipes. We had horrible luck getting it to work, let alone behave consistently. Our unit was very temperamental and picky about lighting conditions. Agan, we hope these are just some early prototype issues. Now, to be fair, we kind of get nubia's effort to cram everything it can into the nubia Alpha and its custom OS, since it is meant to be a smartphone replacement, of sorts. Or, at the very least, a temporary substitute. 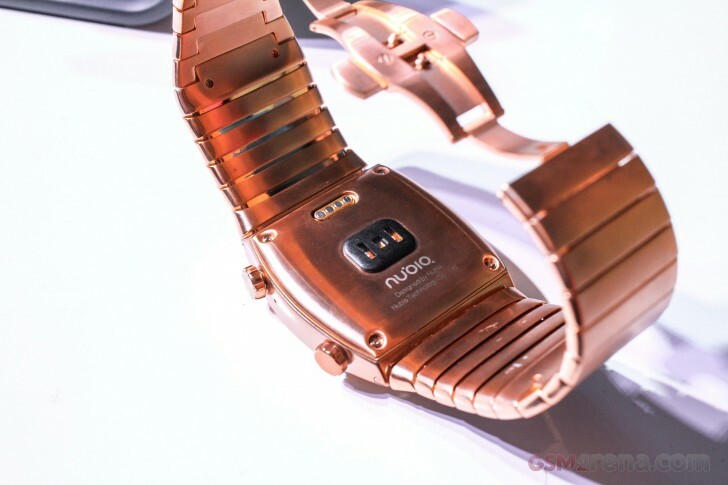 Nubia wants you to be able to leave your other gear at home and only venture out with the Alpla be it to take advantage of its activity and sports tracking or to make and take calls via Bluetooth or on the device itself. Yes, it does have a built-ion speaker and microphone, but these are pretty awkwardly positioned and if you actually want to use them for a call you will have to bring the Alpha the Alpha up and around your face to the opposite ear. A great and dignified look indeed! You cold act all cool and make a video call instead, which justifies the camera in our mind. 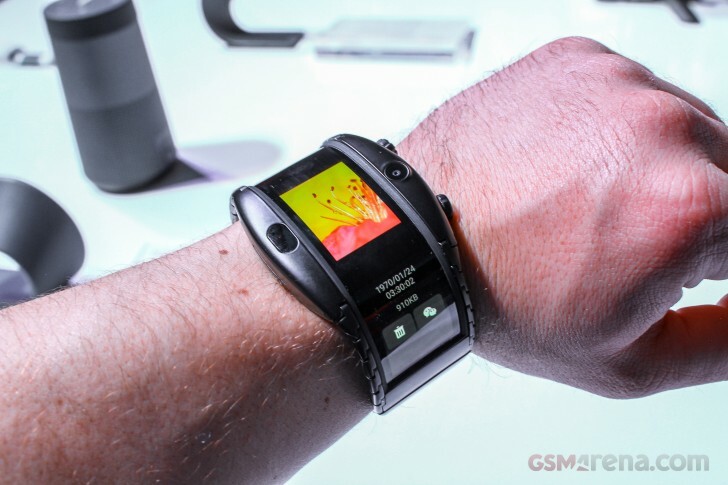 That being said, you could also rotate the watch a bit outward and shoot other things with the 5MP snapper. Although you probably wont want to look at the results too much. 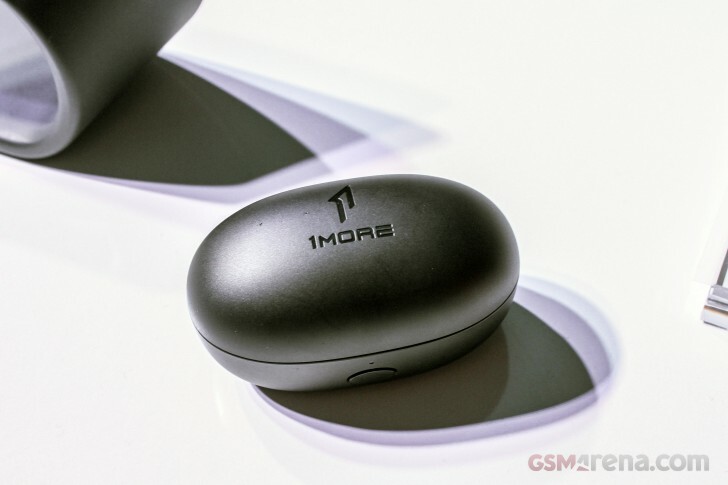 Last, but definitely not least, the nubia Alpha is clearly not helping its viability or usefulness case with a whopping €450 for the Black-only non-network version and €550or €650 for the eSIM one in Black or the premium Gold, respectively. Nubia was clearly attempting to ride the foldable hype wave hard with this one, but for more than one reason, it failed to actually deliver a compelling and really modern offer. 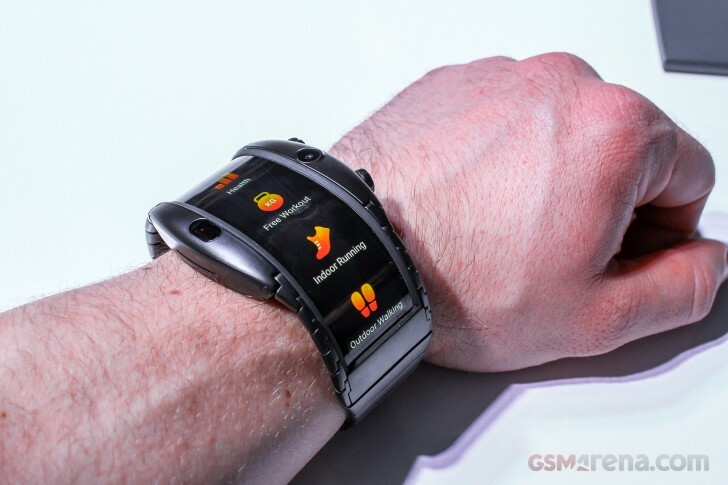 While it might still appeal to some, with its bulky design, crowded UI, day or two of battery life and old-school POGO charging it is definitely not the wearable of the future. Not much can be said about the nubia Pods, really, beyond simply offering a closer hands-on look to you. 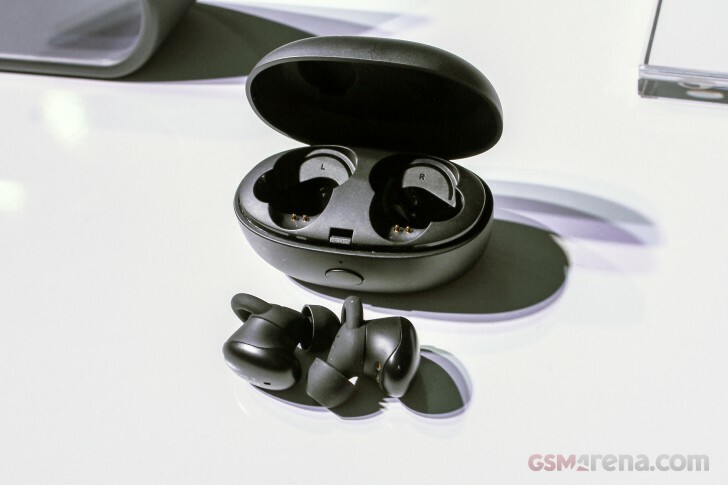 Like pretty much every other pair of truly wireless tiny buds on the market these come with a charging case, complete with a battery of its own, which you will probably often reach for, since the buds themselves can only go for about 6.5 hours of continuous playback. 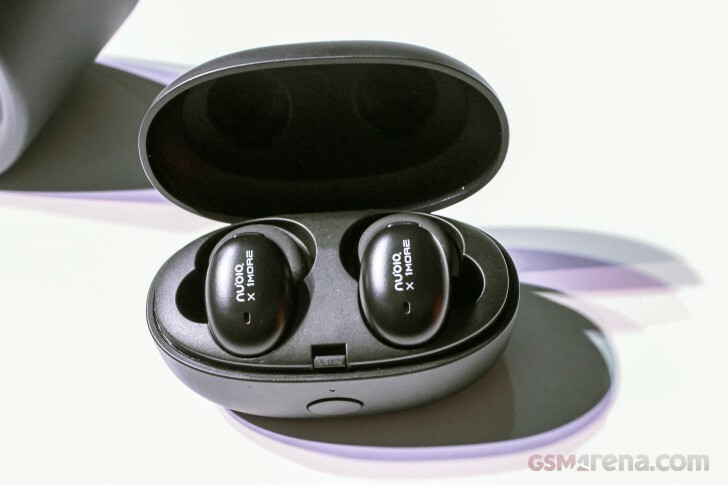 You could try to stretch that out a bit by only using the buds one at a time, effectively more than doubling the playback time, since you are also skipping the costly communication and synchronization that happens between the two buds themselves, when in stereo mode. Still, that's hardly a new feature. Bluetooth 5, Qualcomm aptX and DSP ENC for calls are nice little treats we found on the nubia Pods. These are also pretty small and quite comfortable. Their design is not really universally appealing, but nubia seems to have a theme going here and is sticking to it. 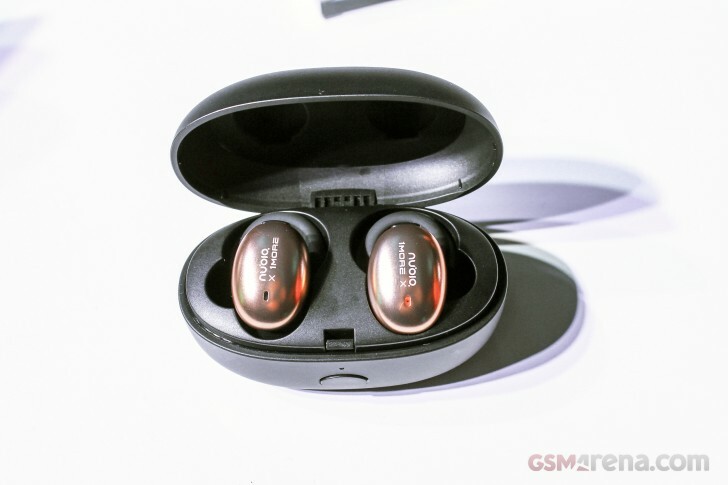 The list of things you won't find on the nubia Pods, but might be available on competitors include gestures, local storage for Bluetooth-free playback, a hear rate sensor or any other advanced hardware feature. So finally a phone which can be operated normally again.